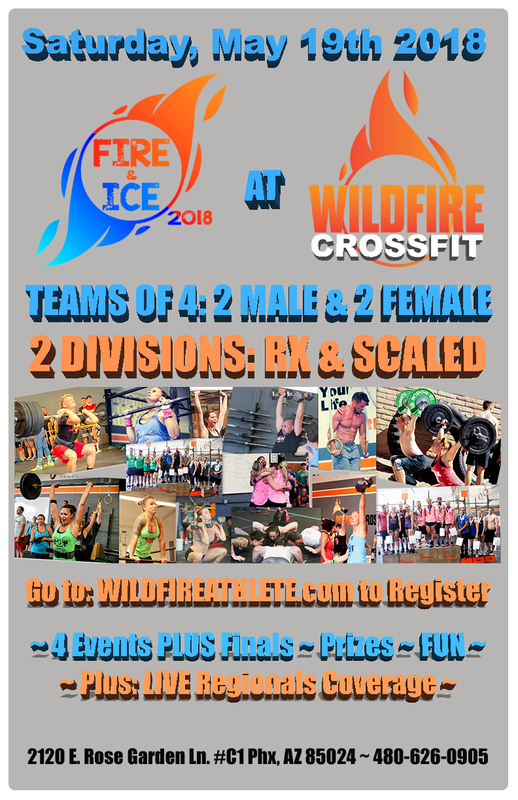 The 4th Annual Fire & Ice Challenge at WildFire CrossFit is this Saturday, May 19th, and we are excited to be able to host one of Arizona’s premier Team CrossFit events! THANK YOU in advance for being a part of this competition. When we first started talking about hosting a competition, it was our goal to make sure it was fun, well-run, and judged fairly, and this year is going to be our best Fire & Ice Challenge yet! Event Timeline & What you need to know…. 7am-8:15am - Team Check-In: A Team Member must be present to check your Team in during this time to make sure all waivers are filled out correctly and collect gift bags for all Team Members. All Team Members do NOT need to be present during check-in. 8:30am – Athlete Briefing: We will go through all movement standards and an explanation of all the workouts at this time. I would HIGLY encourage all Team Members to be available to get all the info and ask any questions BEFORE we begin the first event. Once we begin the first heat, we are going to expect you to know the standards and formats for each workout. 9am – Heat 1 of Event 1 will begin: Heat 1 Teams will have a few minutes to continue getting warmed up after the Athlete Briefing and before the first event. THANK YOU to our Sponsors: We are proud to have so many incredible sponsors for Fire & Ice. Total Lifestyle Chiropractic (TLC), Massage Therapist and Mobility Extraordinaire: Don Wong, Ascent Protein, Fit Aid, Rx Bar, and Caffeine & Kilos are some of our top sponsors. Parking: Parking will be available in the church parking lot. Use the entrance directly across the street from the La Serena Building parking lot. Please be considerate of the church who is kindly letting us use their parking lot for this event. NO ALCOHOL will be allowed in the church parking lot. Athlete Tent Area: The Parking Lot in front of the gym will be available to set up tents. Again, please be considerate of the other tenants in the building. We will have garbage cans located around the building, so please keep it clean. You may bring alcohol into the tent area, just please be smart about it. Heat Times: Heats and Times will be posted by Friday. Even if you are in a later heat, we HIGHLY encourage all Team Members to be there for the Athlete Briefing at 8:30am. Food Trucks: We are proud to have Gypsy Cup, Local Lunch Box, and International Truck of Tacos at this year’s Fire & Ice Challenge. Gypsy Cup will be here at 7am and serves the Valley’s best Coffee. Local Lunch Box & International Truck of Tacos will be here to serve food to athletes and spectators after 9am. THANK YOU to all the athletes who are competing in the 2018 Fire & Ice Challenge! 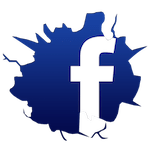 We know there are a lot of local area competitions that you have to choose from and we very much appreciate you participating in this event at WildFire CrossFit! THANK YOU, THANK YOU, THANK YOUto all the Judges & Volunteers who make the Fire & Ice Challenge possible! We are thankful to have such an extraordinary team who take a lot of pride in making this event a success! Athletes, please take a minute on Saturday to thank some of the Judges and Volunteers for all their hard work.